Penne Pasta in Cheese Sauce. If you are just contemplating what you’re going to make for dinner tonight, you’re not alone. There are countless reasons why making a meal from scratch every night of the week is sometimes just not feasible – not least of which is that we’re all busier than ever before. Look no further and try Kuppies Heat & Eat Pasta, made with authentic herbs and Italian flavors. The pasta is perfectly cooked and filled with cheese, Onions, Green Pepper and Pesto. Pasta sauce is so cheesy and tasty and the Penne pasta has perfect texture and chewiness. 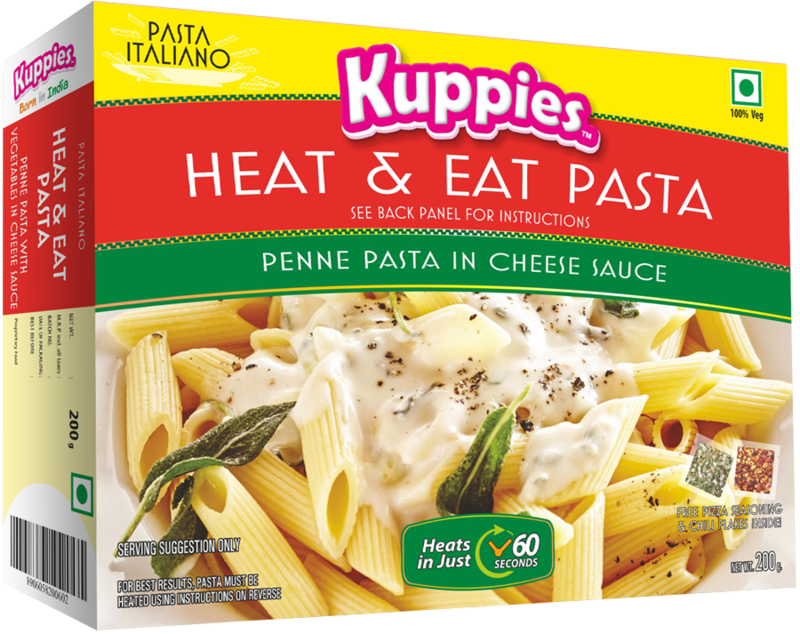 Its so convenient to Heat & Eat this pasta treat from Kuppies and most of all its really authentic pasta perfect for dinner at home.